I would say I missed the potentiality, but Nathan Lewis did a fine job. I do think Cato is capable of more, but it doesn't come to the fore. Maybe he is just Ntl team unlucky, as far as getting that killer game in. nb: this opinion is just based on the games I have seen. Not worried about that discipline error doh, unless he is made to feel offended. Hope he still in the mix and can challenge Lewis (and Hector) for the spot. nothing against cato but Lewis in my estimation is much better going forward with better touches better vision better decision maker, but cato might be a better defensive player......might. thank you cordell for bringing your lady to practice now we got to see what another winger had to offer and lewis reminds me very much of keron cummings. This is the beauty of sport, when one door closes another one opens. If Cato was compliant we probably would have never seen Lewis for any significant game time over the last 2 games. Now i didn't think he was a standout, but for me we know that we have yet another option in that wide position we can call on. He is not a young fella, I think 26 or 27 but if he can keep his form he can be productive over the next 3-4 years. Same for me. He wasn't great in Colorado but he was better in CR so it's a mixed bag. What I do know is that with Cato on the field in CO molino would have had less to do defensively and quite possibly been more available as an outlet to KJ on some of those possessions where he was on a deserted island. For me Cato offers more, maybe in time we'll see more from Lewis and be able to properly compare them. Right now comparing them would be premature in my eyes. You guys have any idea where he is going to play this year? Former San Jose Earthquakes midfielder Cordell Cato is on trial with the LA Galaxy. He came on as a substitute yesterday in the 62nd minute of the Galaxy’s 3-1 win over Fresno FC in a pre-season friendly. At this stage ah de dance, Cato shouldn't be "on trial" anywhere. He should be signing on reputation. Right now, all Trini ballers on survival mode. Those with reputation advanced in age. So is trial time. We are back to pre Yorke, Latapy days. These days, the reputation of our players with reputable foreign clubs, generally lower than the white line in the road. On Friday, the Charlotte Independence, a United Soccer League (USL) professional soccer team announced the signing of midfielder Cordell Cato, pending league and federation approval. The 25-year-old becomes the second Trinidad and Tobago International player signed to the 2018 roster joining teammate Kevan George. Over the past five season, Cato has played for Major League Soccer (MLS) side San Jose Earthquakes. Cato began his professional career in 2009, signing with top division, Trinidad and Tobago side San Juan Jabloteh. As a 19-year-old, Cato made his MLS debut with the Seattle Sounders during the 2012 season. The following season, his rights were acquired via trade by the San Jose Earthquakes where he would log 6,950 minutes in 111 games, scoring seven goals with 10 assists in five seasons. Since 2014, Cato has made 20 appearances for the Trinidad and Tobago National Team. During the 2018 FIFA World Cup CONCACAF qualification, Cato made starts in “The Hex” versus Costa Rica, Honduras, Panama and Mexico. The Carenage, Trinidad and Tobago native has two goals for the Soca Warriors including a 2015 CONCACAF Gold Cup score versus Guatemala in front of a crowd of 54,126 at Soldier Field in Chicago, Illinois. Cato joins a lengthy list of Independence signings with international backgrounds such as South Korean Jungsoo Lee, Swiss native Kay Voser, Cameroonian Calvin Doum, and Liberian international Joel Johnson. For Cato, his arrival in Charlotte marks his first visit to the city noting novelty as an importance in his decision to sign with a club. He credits Trinidad and Tobago teammate Kevan George for persuading his choice, as well. Charlotte Independence, a United Soccer League professional soccer team, will kick off the 2018 season at the Sportsplex at Matthews on Saturday, March 17th when the Independence hosts Ottawa Fury FC. Single-game tickets are now available. For details on the upcoming schedule and Season Memberships visit charlotteindependence.com or call 704-206-1515. WATCH: Cordell Cato nets a brace on his debut for Charlotte Independence in their 4-1 win over Ottawa Fury. Was that Cato who scored the 2nd goal? It looks like him. Yes, de commentators just call de wrong name. I almost went to this game too...Cato looking fit, that was pure pace and determination for the 2nd goal. Charlotte Independence, and Trinidad & Tobago international midfielder Cordell Cato earned USL Team of the Week Honors behind a two-goal performance in a 4-1 victory over Ottawa Fury FC. Saturday night's, Season Opening win marked the USL debut for Cato. The 25-year-old has made 20 appearances for the Trinidad & Tobago National Team in addition to six seasons, with over 100 games played in the MLS. During the 2018 FIFA World Cup CONCACAF qualification, Cato made starts in “The Hex” versus Costa Rica, Honduras, Panama and Mexico. Cato has two goals for the Soca Warriors including a 2015 CONCACAF Gold Cup score versus Guatemala in front of a crowd of 54,126 at Soldier Field in Chicago, Illinois. Swope Park Rangers forward Kharlton Belmar has been voted the USL Player of the Week for Week 1 of the 2018 season. Belmar scored two goals and recorded two assists, including the game-winner in stoppage time, as the Rangers took a 4-3 victory against Reno 1868 FC on Saturday afternoon at Greater Nevada Field. Belmar received 88 percent of the poll conducted by a national panel of independent media representing every USL market. Charlotte Independence midfielder Cordell Cato finished second with eight percent and New York Red Bulls II midfielder Andrew Tinari third with four percent. GK – Jake Fenlason, Saint Louis FC: Fenlason recorded four saves to help Saint Louis claim a point on the road in its opening game of the season against Rio Grande Valley FC. D – Paco Craig, Louisville City FC: Craig made four tackles, four interceptions and eight clearances to lead Louisville to a shutout victory against Nashville SC. D – Dekel Keinan, FC Cincinnati: Keinan notched 11 clearances and won five of eight duels as he played a key role in FCC’s 1-0 road victory against the Charleston Battery. D – Taylor Hunter, Colorado Springs Switchbacks FC: Hunter won five of six duels, completed 85.7 percent of 28 passes and registered seven clearances as the Switchbacks held the LA Galaxy II to only one shot on goal. M – Nick Hinds, Seattle Sounders FC 2: Hinds capped his professional debut with the game-winning goal in S2’s 2-1 victory against the Portland Timbers 2 and also won two tackles and five of eight duels in the midfield. M – Cordell Cato, Charlotte Independence: Cato scored the opening two goals as the Independence romped to a 4-1 victory against Ottawa Fury FC in their home opener. M – Andrew Tinari, New York Red Bulls II: Tinari scored twice and recorded five key passes as the Red Bulls II rallied to take a 2-1 victory against Toronto FC II. M – Jack Blake, Tampa Bay Rowdies: Blake completed 35 of 45 passes, registered two tackles and two clearances and capped the Rowdies’ 3-1 win against North Carolina FC with a fine long-range goal. F – Brandon Allen, Bethlehem Steel FC: Allen notched a pair of goals in his debut for Steel FC as the hosts pulled away for a 4-1 victory against the Richmond Kickers. F – Matt Thomas, Las Vegas Lights FC: Thomas’ goal after 70 seconds set a record for the opening goal in a USL expansion club’s history and paved the way for a 3-2 road win against Fresno FC. F – Kharlton Belmar, Swope Park Rangers: Belmar had two goals and two assists, including the stoppage-time game-winner, as the Rangers took a 4-3 victory on the road against Reno 1868 FC. WATCH: Cordell Cato turns at the top of the penalty area and rifles a shot into the roof of the net to open the scoring in Charlotte Independence’s 4-1 win over FC Cincinnati. 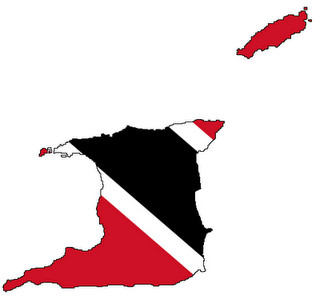 Cato need to find this form for Trinidad in bigger matches. I see him do a lot of the hard work and then he seems to lose conviction when in the finishing zone when he plays against bigger concacaf opponents. He's an excellent player. Still has loads of potential. I can only hope that he continues this form, gets that constant goal scoring in his blood heads back up to the MLS or elsewhere and goes where he should. He has so much pace and at times his touch is actually really clever. He could be a goal fiend if he just got his head on in the right way. I've been a particular fan of his for a while. Come on Cordell, you're a champ keep at it. WATCH: Cordell Cato scores the equalizer in Charlotte Independence’s 1-1 draw with Richmond Kickers. WATCH: Midfielder Cordell Cato scores his eighth goal of the season in Charlotte Independence’s 2-2 draw with Tampa Bay Rowdies. He also recorded an assist. Energy FC have signed forward Cordell Cato, Head Coach Steve Cooke announced today. Cato joins the club after spending 2018 with the Charlotte Independence, where he made 24 appearances, scoring eight goals and providing four assists. Prior to joining Charlotte Independence, Cato made 135 appearances over five seasons in Major League Soccer with Seattle Sounders FC in 2012 and the San Jose Earthquakes from 2013-2017. During the 2014 season, he and Energy FC defender Atiba Harris were teammates. In addition to playing in the top flight in the United States, Cato has featured for the Trinidad and Tobago national team on 27 occasions, scoring two goals and helping the Soca Warriors advance to the quarterfinals of the 2015 CONCACAF Gold Cup. He also made starts against Costa Rica, Honduras, Panama and Mexico during 2018 FIFA World Cup CONCACAF qualification in “The Hex”. Both teams in the same league. In case you missed it, Greg has moved to Orlando City in the MLS. WATCH: Cordell Cato rounds off the scoring in Oklahoma City Energy FC's 3-1 win over El Paso Locomotive FC.